D-Link AirPlus DWL-G650 Wireless Cardbus Adapter rev.C is a Network Adapters hardware device. This Windows driver was developed by Qualcomm Atheros Communications Inc.. 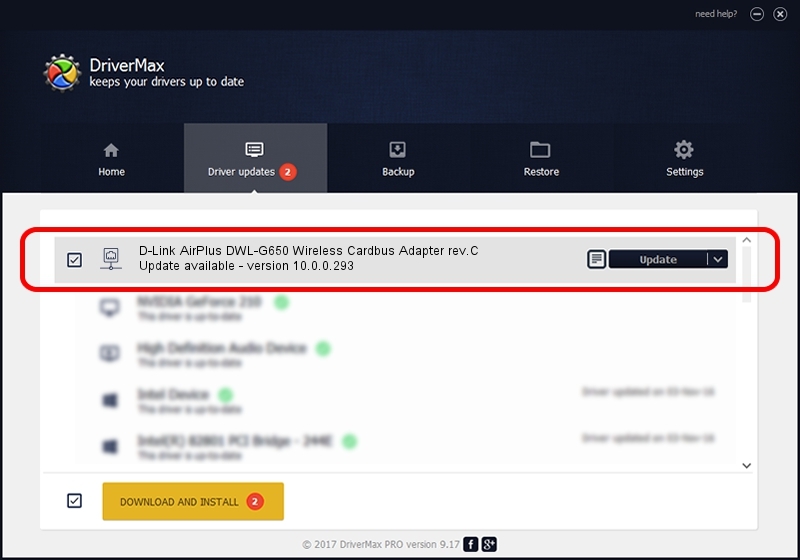 In order to make sure you are downloading the exact right driver the hardware id is PCI/VEN_168C&DEV_0013&SUBSYS_3A121186. 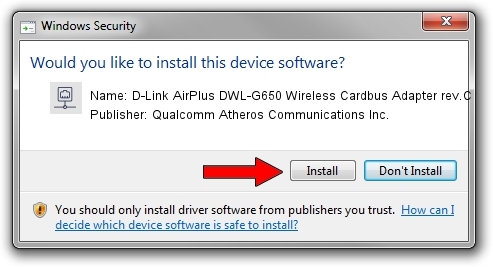 Download the setup file for Qualcomm Atheros Communications Inc. D-Link AirPlus DWL-G650 Wireless Cardbus Adapter rev.C driver from the location below. This download link is for the driver version 10.0.0.293 released on 2014-06-22. This driver was installed by many users and received an average rating of 3.8 stars out of 37856 votes. Take a look at the list of detected driver updates. Search the list until you find the Qualcomm Atheros Communications Inc. D-Link AirPlus DWL-G650 Wireless Cardbus Adapter rev.C driver. Click on Update.